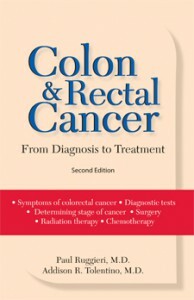 Colon & Rectal Cancer: From Diagnosis to Treatment, 2nd ed. 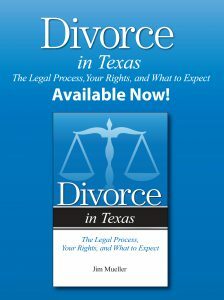 March 2012 ∙ 160 pages ∙ ISBN 978-1-886039-05-6 ∙ $19.95. Addicus Books, Inc. Written in an accessible and reassuring manner, readers will easily find answers to important questions in this book about colon and rectal cancer. Beginning with an overview, it logically follows a journey from symptoms and screenings through treatment. Sidebars and line illustrations help to clarify key points throughout. Appendixes include the TNM classification, additional resources and a glossary. This is a fully updated second edition that has the latest treatment protocols and chemotherapy drugs included with the expected side effects. The authors have years of experience treating patients with colorectal cancer and their concern for the emotional and physical well-being of those coping with a diagnosis is evident. Paul Ruggieri, MD, is a surgeon, a fellow in the American College of Surgeons and is a member of the Society of American Gastrointestinal Endoscopic Surgeons. He is the coauthor of A Simple Guide to Thyroid Disorders and The Surgery Handbook—A Guide to Understanding Your Operation. Addison R. Tolentino, MD, is a medical oncologist. He is board-certified with the American Board of Internal Medicine and the American Board of Medical Oncology, Hematology, and Internal Medicine. 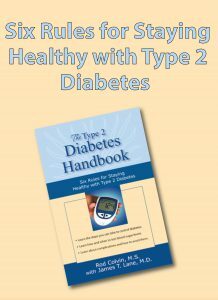 This book is highly recommended for consumer health collections and will be a helpful reference for patients, families and caregivers. Colon and rectal cancers strike men and women equally, Ruggieri points out, and their causes aren’t yet known. He relays what is known about the diseases, though, as well as their symptoms, the various diagnostic tests and procedures for them, and the stages of their progressions, which are important to determining treatment and prognosis. He discusses ways to cope with emotional aspects of the disease, especially those provoked by the prospect and the realities of a colostomy, which constitute one of the major worries of many people after they are diagnosed. He considers surgical and medical therapies carefully and provides practical suggestions, and he concludes with helpful chapters on prevention and early detection—the major weapon against such cancers—and on follow-up care.